What part of your home are you looking to decorate next? Have you done your door, your windows, your walls? How about your light switch? No? 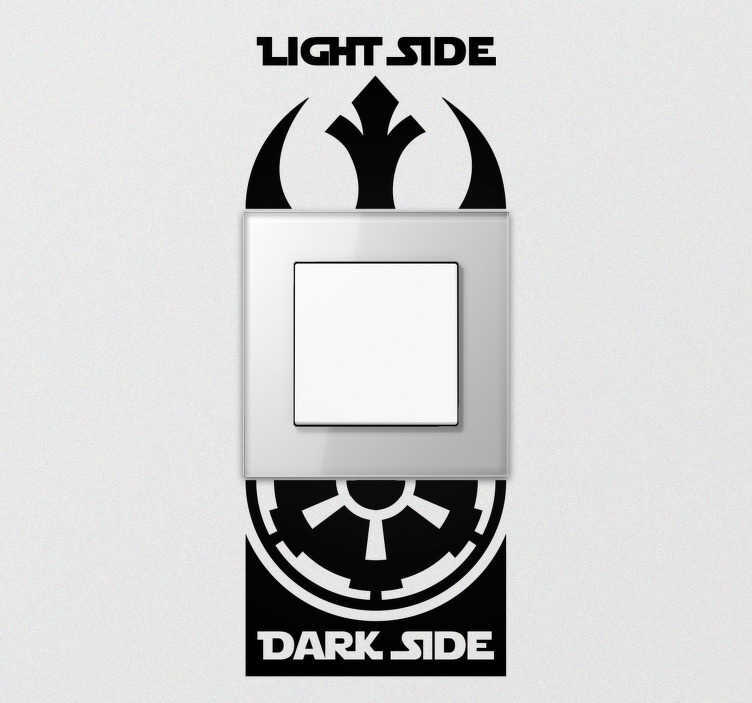 Well, with light switch stickers like this fantastic Star Wars themed one, what are you waiting for? It is perfect Star Wars home decor - whether you are attracted to the light side or the dark side, you can keep changing your allegiance every time you turn the light on and off! Choose your size - Based upon the size of the light switch - and buy now!